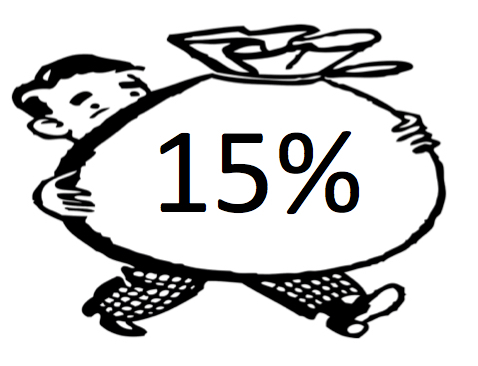 Real Deal Retirement » Blog Archive » Is A 15% Savings Rate Adequate For A Secure Retirement? 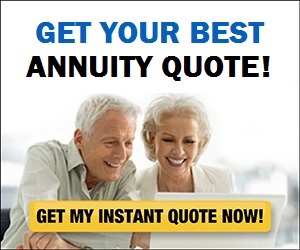 I’ve heard that I should save 15% of salary a year, if not more, for retirement. Is that figure correct and does it include any matching contributions my employer makes to my retirement account? Then again, common sense dictates (and the BCCRR report points out) that no single percentage is going to be right for every person in every circumstance. For example, all else equal, people with high incomes need to save more than people with low incomes if for no other reason than the more you earn, the lower the percentage of your pre-retirement salary you’ll receive in Social Security benefits once you retire. Which means the more you earn, the more likely you’ll have to save more to build the larger nest egg you’ll need to maintain your standard of living after retiring. How early (or late) a start you get on saving also has a big effect on the percentage of your salary you need to sock away. If you start saving early in your career, say in your 20s, and stick with your savings regimen throughout your career, then 15% has an excellent chance of leaving you well positioned for a comfortable retirement. You may even be able to get by with less. The reason is that, if invested properly, the dollars you put away while you’re young have a long time to benefit from compounding of returns and grow to a hefty sum. For example, if you’re 25, earn $40,000 a year, get 2% annual raises and save 15% of salary year in and year out, you’ll accumulate a nest egg of just over $1.2 million by age 65, assuming a 6% annual return. If, on the other hand, you put off saving until age 30, you would need to sock away nearly 20% of salary to end up with the same size nest egg, assuming the same 6% rate of return and 2% pay increases. The longer it takes you to get started, the more your required savings rate rises. Wait too long and the savings burden can become onerous. Other factors also come into play, including the age at which you retire, how long you live and what sort of retirement lifestyle you envision. The rate of return you earn on your retirement investments also plays a role. Indeed, a new study titled “Required Savings Rates Today” by Morningstar’s David Blanchett and The American College of Financial Services’ Michael Fink and Wade Pfau shows that the combination of expected low returns combined with longer lifespans can dramatically increase the rate of savings required for a secure retirement, especially if you get a late start. All of which is to say that it’s pretty much impossible to give a precise “correct” percentage of salary you need to save. And that’s why instead of just going with a rule of thumb like 10% or 15% of salary, I recommend you go to a good retirement tool like T.Rowe Price’s retirement income calculator and plug in such information as your age, salary, the amount you already have stashed away, the percentage of pay you’re currently saving and the age at which you expect to retire. The tool will then use Monte Carlo analysis to estimate your chances of being able to generate the income you’ll need in retirement if you continue saving and investing as you currently are. Just to be clear. You’re not getting a guarantee that you’ll be able to retire in comfort if you save at a particular rate. No tool is capable of such precision. But what a tool like this can do is give you an estimate of what your chances are of achieving a secure retirement if you save at a given level and, just as important, show you how your chances go up or down as you raise or lower your savings rate. By periodically revving up this tool and plugging in current information about your finances, you can see how likely your current savings rate is to lead you to a comfortable retirement. If your chances are uncomfortably low—say, less than 75% to 80%—you can see how boosting your savings rate might improve them. I’d recommend that you build in a little margin of safety for yourself as you go through this analysis. A lot can happen to disrupt your retirement plans: layoffs, market setbacks, illnesses or emergencies that may force you to dip into savings, etc. So even if it appears you’re on track for retirement, throwing an extra percentage point of pay into retirement accounts is a good idea if you can manage it, just in case your well-laid plans don’t unfold as seamlessly you hope. If you do find that you’re behind in your retirement planning and you’re unable to boost your savings rate enough to get you where you should be, remember that there are a few other adjustments you may be able to make to improve your prospects, such as staying on the job a few more years, working part-time in retirement, downsizing to smaller digs, taking out a reverse mortgage or even relocating to a part of the country with lower living costs. That said, while moves like working longer or taking on part-time work after retiring can make a lot of sense in theory, the reality is that many workers are forced into early retirement due to a downsizing or health reasons. And while a part-time gig can generate extra income, you may not feel as enthusiastic about working in retirement as you think you will (the Employee Benefit Research Institute’s 2016 Retirement Confidence Survey shows that only 27% of retirees have worked for pay after retiring). Even if you’re willing to work, you may not be satisfied with the kinds of retirement jobs that are available. So it’s best to think of such contingencies as fallback positions rather than an integral part of your retirement plan. Finally, if you find that you’re unable to save at the appropriate level—be it 15% of pay or some other figure—don’t panic. Instead, start with an amount you can manage, say, 10% or whatever, and then make a plan to gradually bump up your savings rate. For example, you might increase your savings rate by a percentage point or two a year or perhaps save half of any raises you receive until you reach your target savings rate.